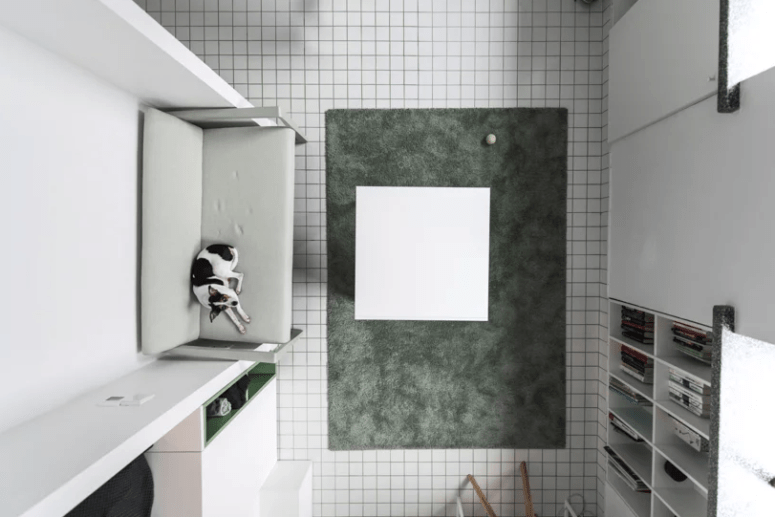 The demand of micro spaces is radically increasing, and more and more designers and architects surprise us with how little we need for comfortable living. 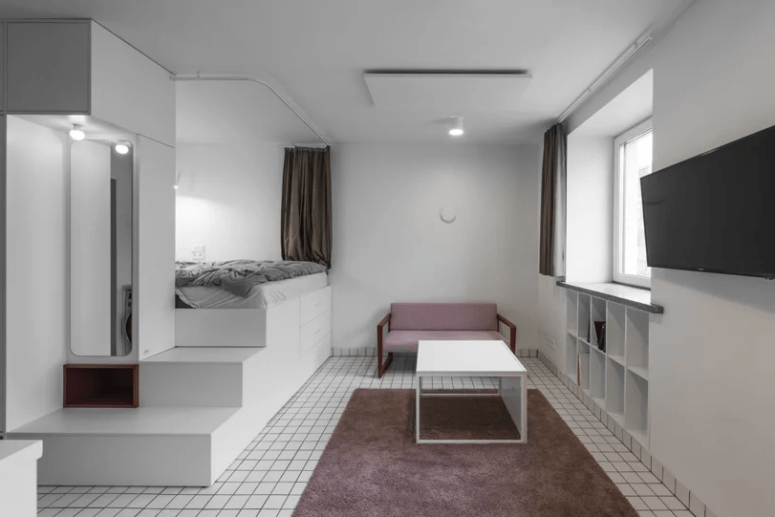 Today we are sharing a cool complex of four micro apartments in Vilnius, Lithuania, all of them are done in the similar way but in different colors. 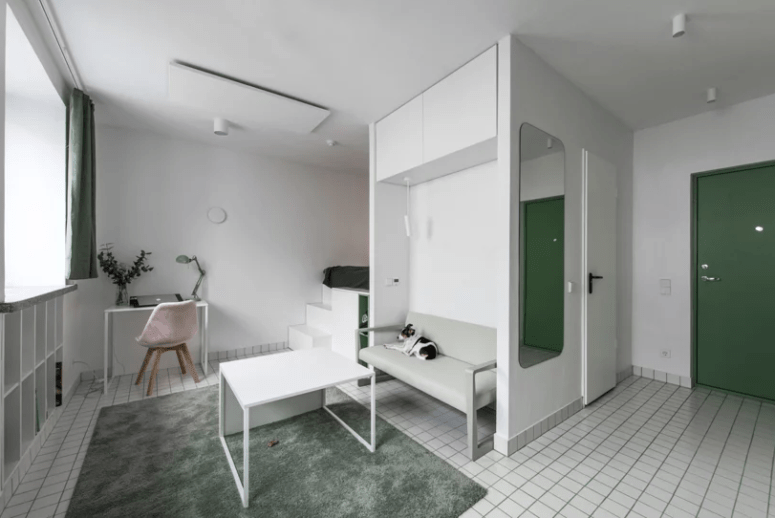 Heima Architects challenges the minimum needs for comfortable living. The color palette was done of white and some single color: pink, blue, green and yellow. Such color combos were used to emphasize the shapes and the spaces of the apartments. 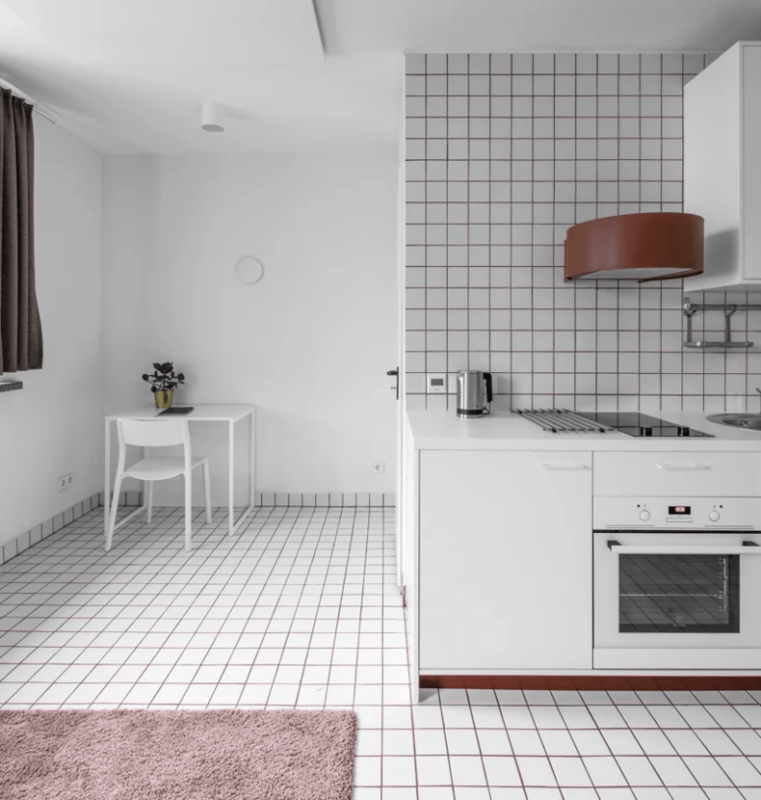 Each apartment houses everything necessary for everyday life – a bed, a kitchenette, living-room area and even a bath – all in their minimized versions, but still comfortable to use. 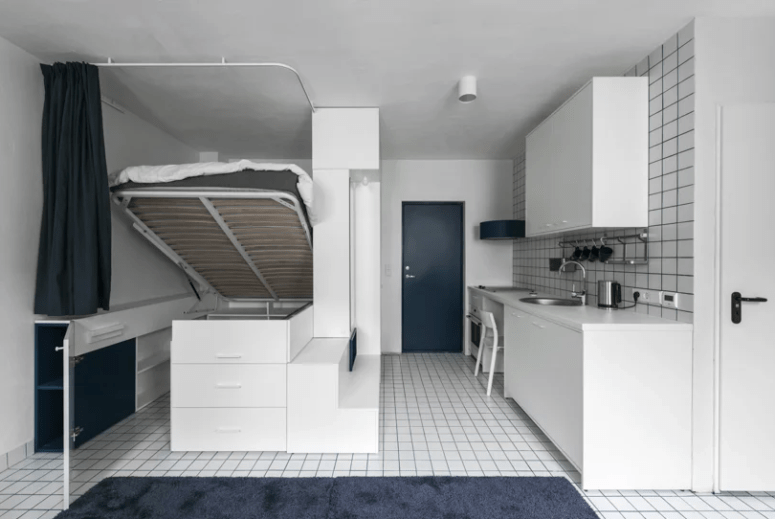 Different areas are divided by ‘transformer’ furniture, including a bed that opens a walk-in wardrobe when lifted, and a dining table/desk that can be easily turned into a coffee table if flipped on a side. The kitchen is done with comfy cabinets, there’s a small living space with a coffee table and a sofa plus a little working space in the corner. Then you may see a ladder with drawers for storage and a bathroom in a block. The location of these parts is a bit different from apartment to apartment. 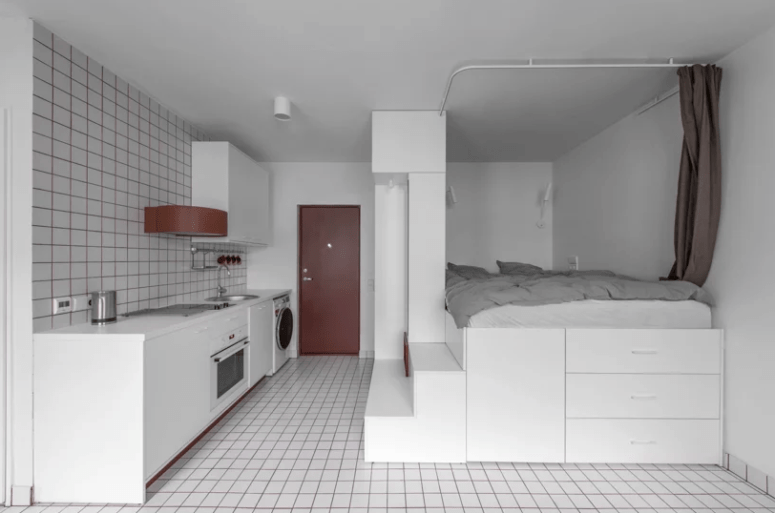 What did designers do to save some space in such tiny dwellings? The storage space is located under the bed platform and there are many built-in shelves plus wall-mounted ones, even in the bathroom to meet the requirements of a modern person. Other space-saving solutions include stackable furniture and functional furniture items that are used to divide the spaces instead of walls – it also saves some space. 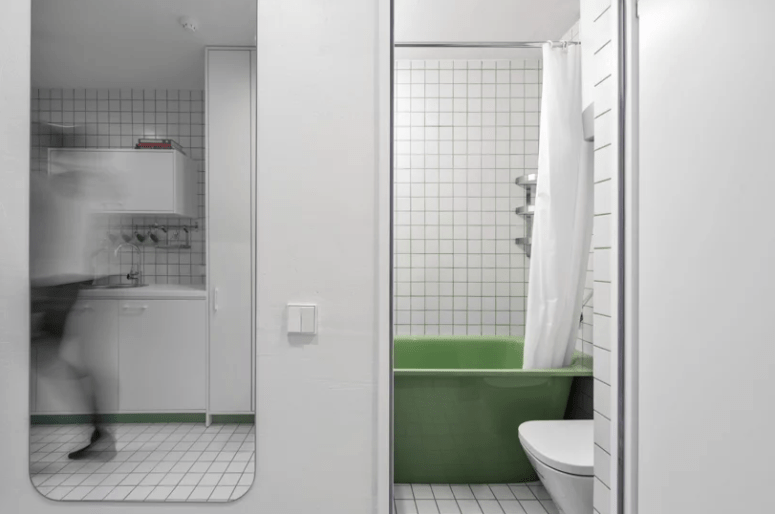 Some apartments even include a full-size bathtub there’s enough space saved. Take a look at these homes and get inspired!